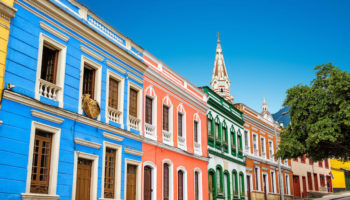 One of the most diverse and scenic destinations in South America is the country of Colombia. Boasting everything from beaches to mountains to swamps surrounding the Amazon River, Colombia truly has it all. 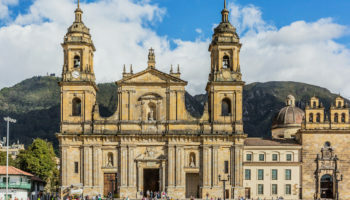 Visitors planning the perfect trip to Colombia will want to venture beyond the cities and check out national parks, historic attractions and the vibrant culture the nation has to offer. Let this guide serve as an itinerary highlighting the top tourist attractions in Colombia. The symbol of Colombia is the wax palm, and the Valle de Cocora is the ultimate spot to see these trees in a stunning environment. The surreal landscape is a lush green, and as the fog lifts it is possible to see the tremendous height of the wax palms growing upright on the hills of the valley. The landscape itself is the main attraction at Valle de Cocora, but there are multiple ways to see it all. Popular options include horseback riding, Jeep tours and a six-hour hiking loop. Much of Colombia is still undeveloped jungle, and Ciudad Perdida is nestled right in the heart of that jungle. 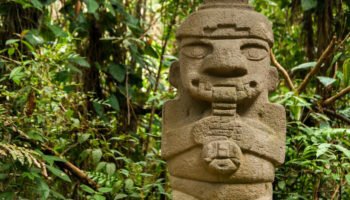 Also known as the Lost City of Teyune, Ciudad Perdida is a pre-Columbian settlement that was constructed around the eighth century by the Tayrona Indians. The settlement was once a thriving hub of culture, but today all that remain are stone terraces in circular shapes, many of them overgrown by the surrounding jungle. 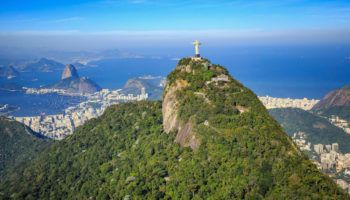 The area is popular for longer guided treks, where participants can hike from camp to camp and experience the pristine, natural environment of the jungle. Whether it is known as Caño Cristales, the Liquid Rainbow or the River of Five Colors, this is one natural landmark that should be on every traveler’s itinerary. Unfortunately Caño Cristales, has been closed to tourism since 1989 due to FARC presence in the surrounding areas but a few tourist agencies have recently began offering carefully crafted tours to the area. The river is located just outside of the small town of La Macarena in the national park known as Serranía de la Macarena. Plants, rocks, sand and algae give color to the river, which can look black, white, green, yellow or bright red depending on location. Hiking along the banks of the Caño Cristales is an adventure on its own, but travelers can also head to the waterfall of Los Cuarzos or swim in the natural pools formed by the river itself. The Los Nevados National Park is perched at a high elevation and is centered around some of the country’s most incredible volcanic peaks. The snow-covered Nevado Del Ruiz and Nevado del Tolima, among others, serve as the park’s main attraction. Hiking is a popular pastime, and those with a streak of adventure can camp in the park’s backcountry. There is also the opportunity to spot the local wildlife, which includes spectacled bears, tiger cats, Andean condors and pumas. While most people associate Carnaval with Rio de Janeiro in Brazil, the Colombian city of Barranquilla is actually home to the world’s second largest Carnaval. During Carnaval de Barranquilla, the city is overrun with festivals, live music and street parades. The festivities kick off with La Batalla de Flores, or the Battle of the Flowers, where parade floats are decorated with flowers in magnificent and colorful designs. Attendees often wear bright colors or costumes that represent a figure or a fable in Colombian heritage. Just north of the border with Ecuador is the Santuario de Las Lajas, one of the most fascinating religious structures in all of Colombia. Built spectacularly on a bridge that spans the Guaitara River, the Santuario de Las Lajas looks like it is straight from a fairy tale. The Gothic style cathedral was built in the early 20th century thanks to a financial donation from locals, and there is now a small museum located within the building. Getting to the Santuario de Las Lajas is easy from the nearby town of Ipiales, where travelers can join guided tours to the cathedral. 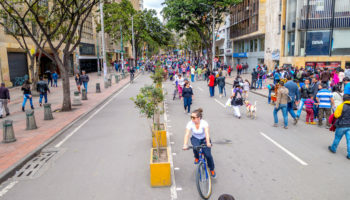 The Colombian city of Bogota is a unique capital because of its high elevation, something that becomes pronounced with a visit to Monserrate. At the top of the mountain of Monserrate, which overlooks the city, there is a 17th century church that serves as a mecca for religious pilgrims. One of the best ways to experience Bogota is by riding either the funicular train or the aerial tramway to the top of Monserrate. 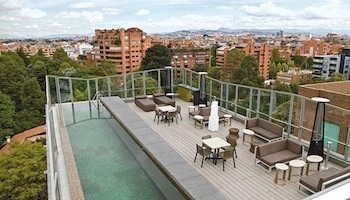 From there, it is possible to view the sun setting over Downtown Bogota in a truly spectacular fashion. 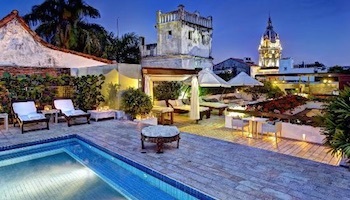 Arguably one of the most popular tourist attractions in Colombia is the historic Old Town of Cartagena. 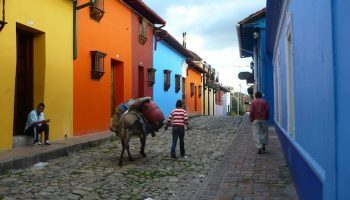 This city was the first of the Spanish settlements in Colombia, and the Old Town is bursting with historic colonial architecture. The walled Old Town, which is also known as the Ciudad Amurallada, contains several older neighborhoods and landmarks. 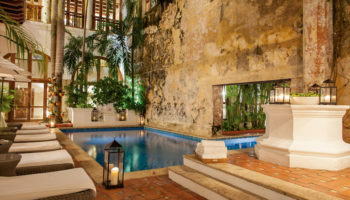 Of particular note is the Plaza Trinidad in the Getsemaní neighborhood, which is the oldest part of the colonial city and a hub for local eateries. Take advantage of the coastal location and try fried fish with a side of arroz de coco, or coconut rice. 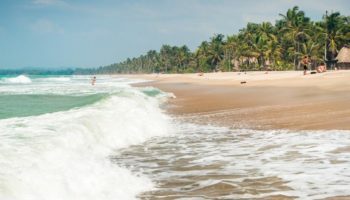 In the northernmost part of Colombia is the Tayrona National Park, which borders the Caribbean Sea and offers remarkable beaches and scenery for visitors. One of the top spots in Tayrona National Park is the lagoon called La Piscina, where a natural reef turns the lagoon into a protected swimming area. While snorkeling in La Piscina, it is possible to spot lobsters, fish and rays among the seagrass and in the reef. There are also plenty of sandy hiking trails leading to and from the coast, many of which provide spectacular views over the Caribbean. Just an hour’s drive north of Bogota is Zipaquirá, a city known as the salt mining capital of Columbia. As a result of salt mining, Zipaquirá has long had a concentration of extreme wealth. One of the things that highlights this is the Salt Cathedral of Zipaquirá, which is a Catholic church constructed almost entirely of salt within a now defunct mine. Although this is a major tourism destination, the Salt Cathedral actually accommodates nearly 3,000 parishioners every Sunday, and attending a church service can be an unforgettable experience. Surrounding the cathedral is an area known as the Salt Park, where visitors can see other landmarks within the mines and learn more about the industry at the Brine Museum. 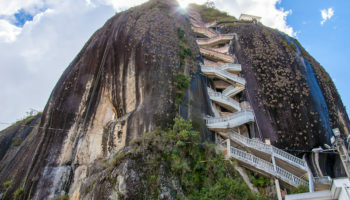 Which attractions in Colombia do you consider to be the most interesting? Just back from 40 wonderful days in Colombia. Tayrona Park is closed every year in the month of February. The salt mine in Zipaquire holds 8000 people on easter. It is still a working salt mine. 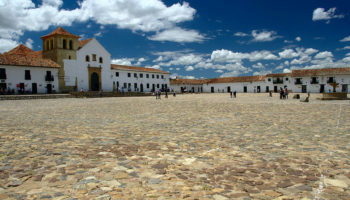 Villa de Leyva is worth visiting. Sights and activities. Some Spanish needed to all Colombia places. People are all warm, welcoming and helpful. Safe country. What is the best time of the year to see the coffee plantation in Salento please ? Valle de Cocora is a best place for having fun and tourists can enjoy some time with buddies. I really like it so much and I have spent spectacular time there. In my point of view it is a perfect destination among the adventure lover as well as nature lover. I hope you will fully enjoy there like I enjoyed.